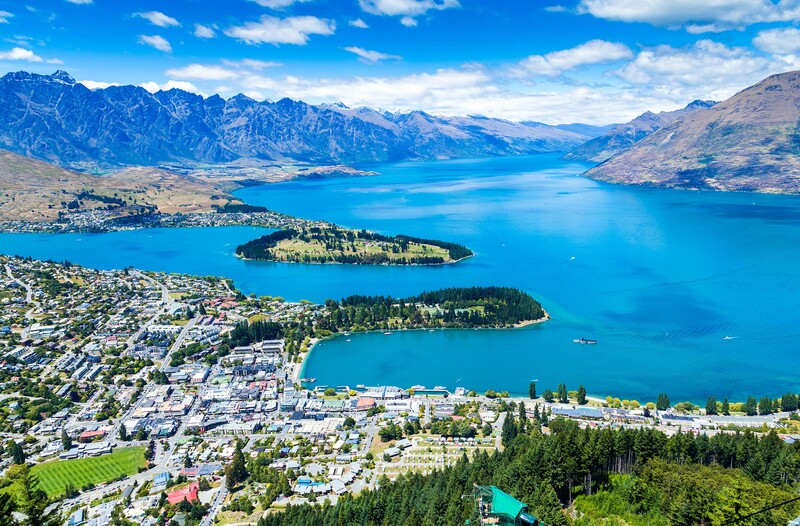 Brimming with diverse natural wonders, New Zealand has been the first choice of families and couples for spending a quality vacation since past few decades. Alpine glaciers, rugged coastline, breathtaking mountains, silent lakes and ambient beaches in New Zealand can fill your trip with memories. We offer you the most favorable custom tailored 10 day New Zealand package with complete comforts as per your lifestyle. As soon as you step on the Auckland’s airport you will have a warm welcome from our local representative. All seat-in-coach passengers will be transferred to the hotel on a private coach. If you are a self-drive passenger, you need to hire a rental car so as to reach the hotel. Next day morning, you will be on a tour of Auckland city with one of our guide who will take you through all the hotspots of Auckland and get you aware of why Auckland is famous for. On the same day, you will also visit most mesmerizing Kelly Tarlton’s Sealife Aquarium and Antarctic Encounter where you will get a chance to see 80 different aquatic creatures and get an opportunity to move closely with the colony of King and Gentoo penguins. Rest of the day is a free time for recreation and relaxation. Next day morning from Auckland, we travel through southern region to reach one of the most visited place in New Zealand, Waitomo. 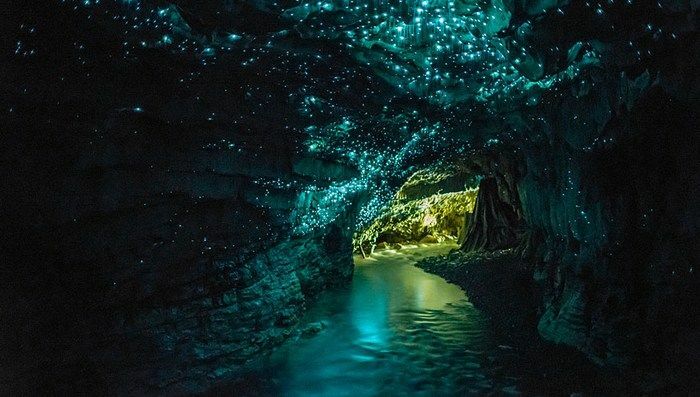 The caving tour of Waitomo gets you pleasure of exploring glowwarm caves, joy of rafting black water, thrill of abseiling the caves and much more. Later afternoon, the tour continues to reach Rotorua. Next day morning at Rotorua, you will explore the natural side of New Zealand. Our sightseeing tour visits Te Puia Thermal Reserve where you can see the boiling mud pools and roaring geysers. Later, tour move ahead to visit rainbow spring where you can view trouts, birds, and other wild animals of New Zealand. Further, tour visits most famous Agrodome farm in New Zealand. The farm is a home for loads of amusing and entertaining shows like sheep shearing , sheep breeding, dog demonstration and much more. These activities will last till afternoon. Later, it will be a leisure time for relaxation or you can visit authentic Maori Hangi to relish the ancient Maori culture, musical concerts and their recipes. A day of departure from Rotorua to Christchurch. You will be transferred to Rotorua airport to board a domestic flight from Rotorua to Christchurch. (Airfare is not included in the package). Enjoy sightseeing tour of Christchurch that includes Canterbury museum, Botanic gardens, the Arts Centre, Anglican Cathedral, Avon River and Town Hall. Next day morning from Christchurch, we start our sightseeing tour to reach church of the good shepherd by passing through Canterbury plains and Lake Tekapo. 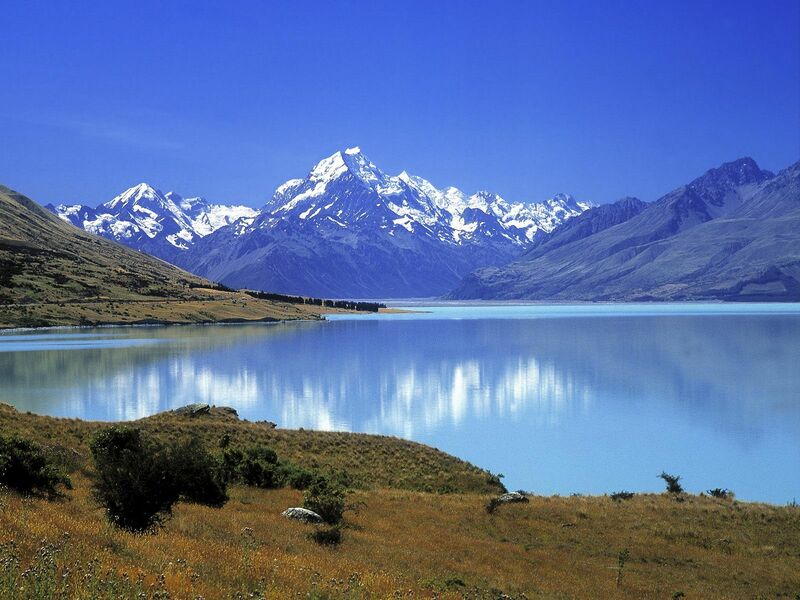 Later, we take you to the highest vantage point of New Zealand, Mt Cook Mountain. Further, we head towards shores of lake pukaki, pass through historic central Otago and reach Alpine resort of Queenstown. On day 07 get ready to experience some adventure. 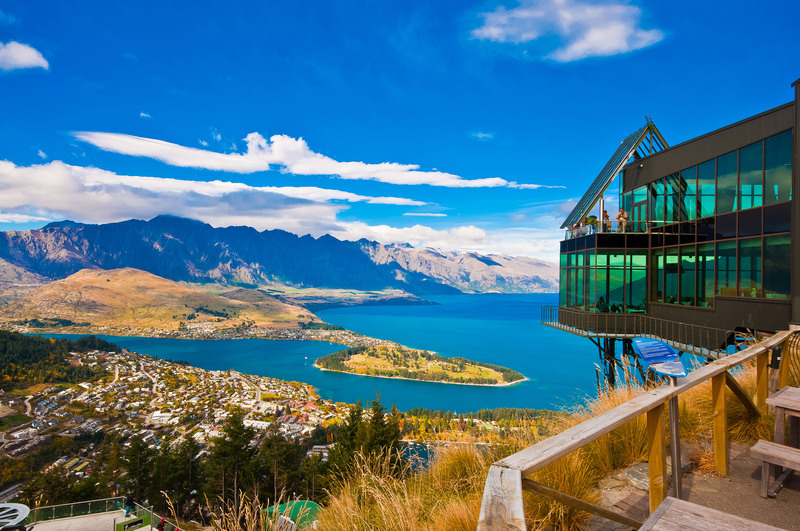 Queenstown is a paradise for people who love to experience adventures with every breathe. At Queenstown, you can have the pleasure of bungee jumping, white water rafting, jet boating, gondola rides and many more adrenaline pumping activities. 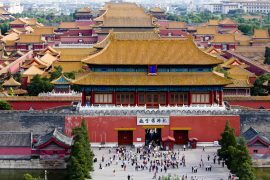 All these activities are optional and not included in the tour price. 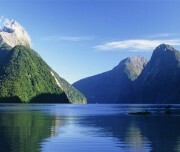 Next day get prepared for a long, exhausting, but exciting sightseeing tour to reach most amazing place Milford Sound. The journey from Queenstown to Milford Sound leaves you spellbound when you pass through the most picturesque Eglinton valley, lake wakatipu, lumsden, lake te anau waka and man-made homer tunnel. Finally, when you reach the most exciting Milford Sound, you will already in a mood to enjoy the breathtaking fiord, which is located at the South West of New Zealand. At Milford Sound you can enjoy kayaking, diving, bowen falls, buffet lunch, boat cruises, meter peak and much more. At the end of the day, you will be conveyed back to Queenstown. The New Zealand tour concludes today. All arrangements for your onward journey will be made. The seat-in-coach passengers will be conveyed back to airport for onward journey while self-drive passengers need to hire rental cars to reach the airport for their onward journey. 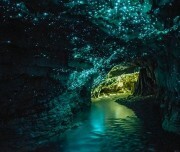 Waitomo is a natural solution cave formed due to the weathering of rocks at the bottom of ocean over million years ago. It is one of the most visited natural attractions in the North Island of New Zealand where tourists can witness the magical wonder of nature as well as experience the pleasure of various thrilling activities. At Waitomo, you can see glowworm caves and have the pleasure of black water rafting, cave abseiling and many other exhilarating activities. Agrodome is the must-visit farmland in New Zealand where you can pat and feed sheep, cows, emu, deer, ostrich and many other animals in the real form environment. Every year millions of visitors come from across the globe to enjoy Agrodome’s famous farm show. Sheep shearing, breeding and dog show are the few activities of the farm show that not only entertain you but also educate you. 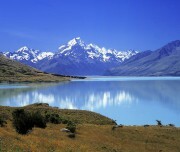 Mt Cook is the highest mountain in the South Island of New Zealand, at 3724 meters. It is a home for many scenic natural beauty and exciting activities. 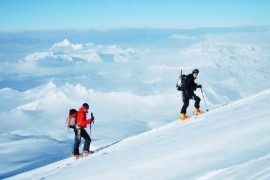 At Mt cook, you can either go for walking along the native forest or have the pleasure of hiking in the wilderness of alpine or have the joy of gazing stars in the night. 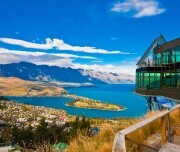 Queenstown is a resort situated at the shore of Lake Wakatipu, New Zealnd. It is a paradise for tourists who love to experience thrill at every breath. Bungee jumping, jet boating, canyon swing and many other bustling activities will leverage your adrenaline and quench your thirst for adventure. A New Zealand tour is said to be incomplete until you visit Milford Sound. Situated in the south island of New Zealand, Milford sound is a terrific tourist spot with striking snenery and exhilirating activities. It is an ideal for relaxation where you can weave hillarious memories that last forever. At Milford sound, you can enjoy kayaking, diving, bowen falls,buffet lunch, boat cruises, meter peak and much more.